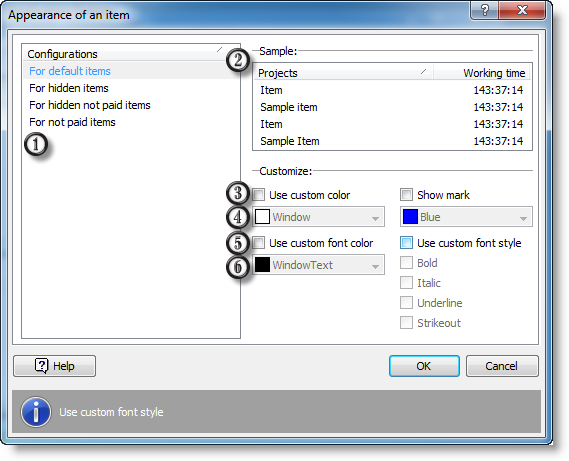 This dialog box allows you to edit configurations used to mark lines in project, task and period lists. In mark settings you can specify which configuration to use in each case. 1. List of existing configurations. 2. Example of using current configuration. 3. Use different line background. 5. 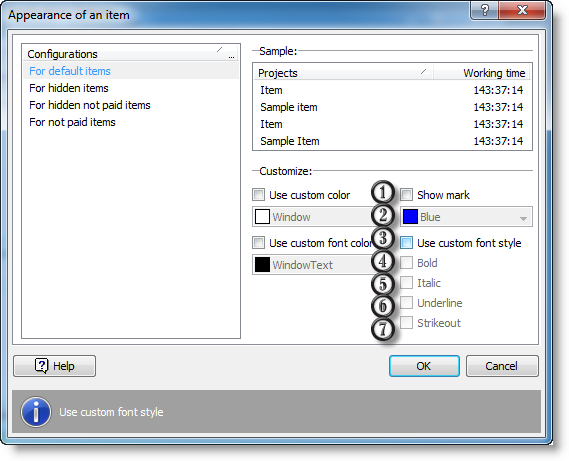 Use different font color. 1. Show line mark. A mark is a small triangle in the lower right corner of a line. 3. Use different font style.